Start by placing your order by phone, fax, or online. Due to custom charges, we do not ship on our FedEx account. You will be required to provide your FedEx, UPS, DHL or Airborne account number. Your Customs Charges will be billed to your shipping Air Freight Account. All you need is a credit card to open a FedEx account in your country. 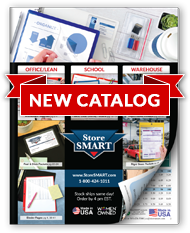 StoreSMART makes it simple to ship to Canada.